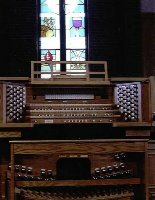 The three manual Renaissance (R-350) organ of Farragut Presbyterian Church was designed and built by the Allen Organ Company of Macungie, Pennsylvania. The organ was the first such instrument of its kind in Tennessee. It is the digital equivalent of a 3 manual, 79 rank pipe organ with 15 second voices for a total of 83 ranks of tonal resources. The instrument also has chimes, handbells, a harpsichord, orchestral harp, and a celesta. In addition, the organ is equipped with a MIDI division, which adds 100 additional voices to the instrument for a total of 184 voices available to the organist. The instrument has a full antiphonal division, which allows the entire organ to also speak from the rear of the sanctuary. The Festival Trumpet en Chamade crowns the instrument, sounding boldly even above the full organ. 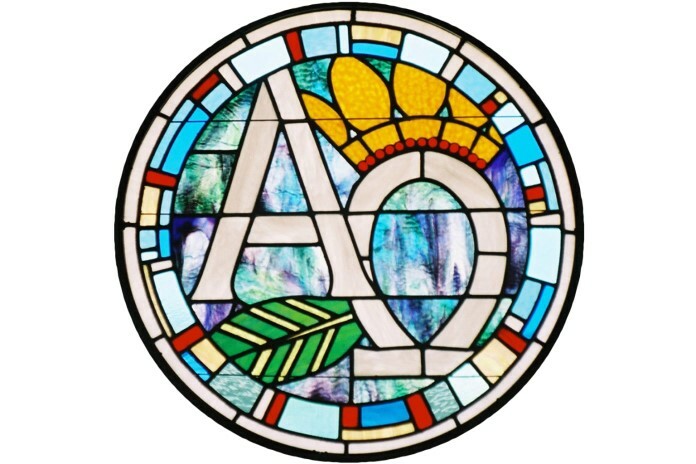 The custom oak console was designed especially for the decor of the sanctuary, and may easily be moved to the center of the chancel for recitals and concerts. Featured on the instrument is Virtual Acoustics, allowing recreation of any acoustical environment from a pipe organ chamber to a majestic cathedral. The computer contains 256 megabytes of stop sample memory, with stops sampled at 80 MHZ for the most realistic pipe organ sound available on any digital organ. Tracker responsiveness is available on the Choir/Positiv manual. The organ console is custom finished for our sanctuary in oak, with walnut trim, including sharps and draw knob stems. The custom adjustable bench allows for the varying heights of players and its ergonomically positioned back support reduces fatigue during extended periods at the console. 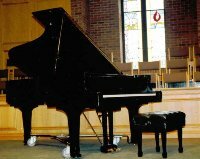 Farragut Presbyterian Church is fortunate to have in our sanctuary a Yamaha C7 (7′ 6″) concert grand piano. Crafted with uncommon care and integrity, for nearly a century, Yamaha grand pianos have defined a singular standard of excellence. Continuing consultation between Yamaha staff and prominent performing artists augments internal research, evaluation and development. The Yamaha C Series represents a fundamental restructuring of the grand piano line. The C7 boasts improved tone, touch and appearance, as well as increased strength and stability. The solid soundboard is shaped from clear, fine-grained timber and is permanently crowned and reinforced with full-length ribs, mortised into the inner rim. The bridge is crafted from select hardwood, precisely notched, pinned and fitted. Our C7 has direct bass bridges, improving lower-register performance. Strings are produced from special steel wire and pure copper windings, then strung to lathe-cut tuning pins in a laminated hardwood pinblock for tuning stability. Featuring duplex scaling, the C7 tunes non-speaking lengths of strings to enrich primary tones with complementary harmonics. Hammers are formed from premium felt, bonded and T-fastened to hardwood heads and shanks. The famed Yamaha action mechanisms are produced with exceptional precision and incorporate a metal action rail to ensure solid support and alignment. Beautifully finished V-Pro iron plates carry the string tension, and a metal tone collector connects back posts and plate, reflecting sound back through the case for a fuller, sustained resonance.